The all-new Essential Brain Injury Guide, Edition 5.0, Revised provides vital information about brain injury, its treatment and rehabilitation. Must be accompanied by an ACBIS Application to qualify for the discounted rate. 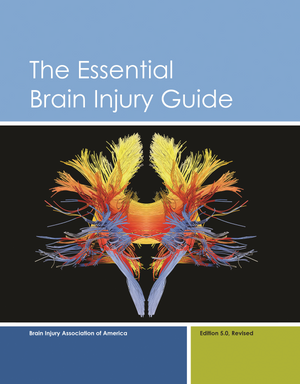 The Essential Brain Injury Guide, Edition 5.0, Revised is the successor to the Essential Brain Injury Guide 4.0 and the ACBIS Study Guide, used as the primary brain injury reference by thousands of professionals and para-professionals providing direct services to persons with brain injury over the past 20 years.